The University has named its inaugural assistant provost for inclusion and diversity, Monica L. Nixon, Ed.D. 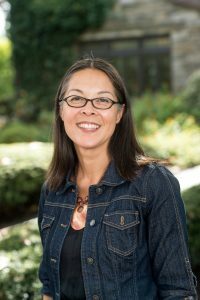 She oversees and leads institutional diversity initiatives and student diversity programs and services, including the Office of Multicultural Life, the Women’s Center and the Ignatian College Connection as well as other diversity-related pre-college programs. Working closely with the Offices of Human Resources, Admissions, Student Success, Veterans’ Services, Teaching and Learning, and Student Disability Services, Nixon promotes, supports and sustains a diverse and inclusive environment for students and the entire SJU community. She also chairs the newly formed President’s Council on Inclusion and Diversity. Most recently, Nixon served as the assistant vice president for student development at Seattle University, where she was also the director of multicultural affairs. She earned a doctorate in educational leadership and policy studies from the University of Washington and both an M.Ed. and a B.A. from the University of Virginia.